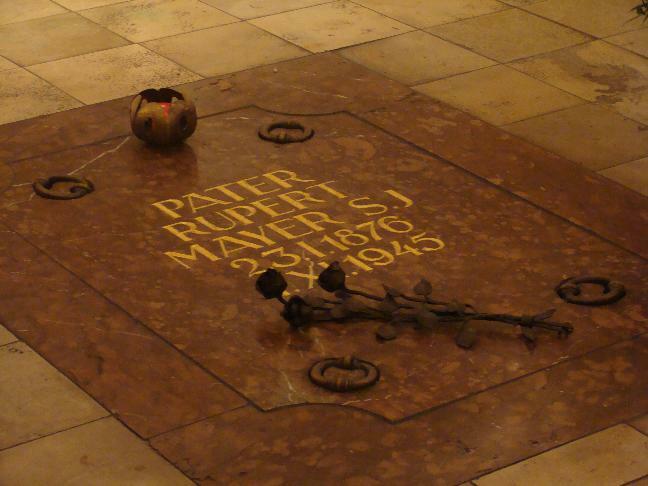 Blessed Rupert Mayer was a German Jesuit priest. 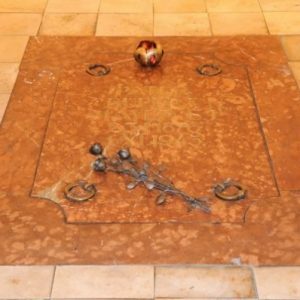 He is best known for the apostolic endeavors he undertook in Munich between the First and Second World Wars. He is known as the Apostle of Munich. He was a powerful preacher and spoke out against the evils of Hitler and Nazism and touched many people through his work with the Men’s Congregation of Mary. 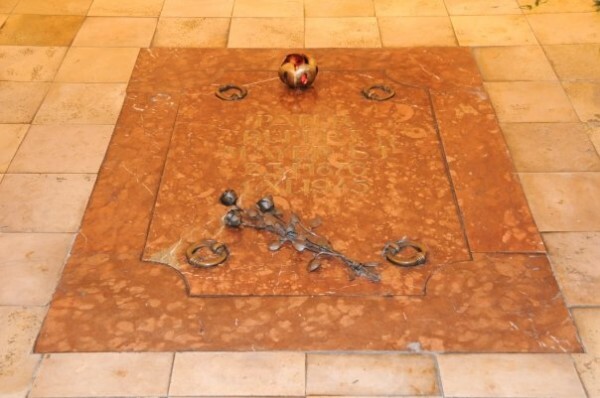 Five to six thousand people come to pray at his tomb in St Michael’s Church, Munich each day. He was beatified on 3 May 1987 by Pope John Paul II. 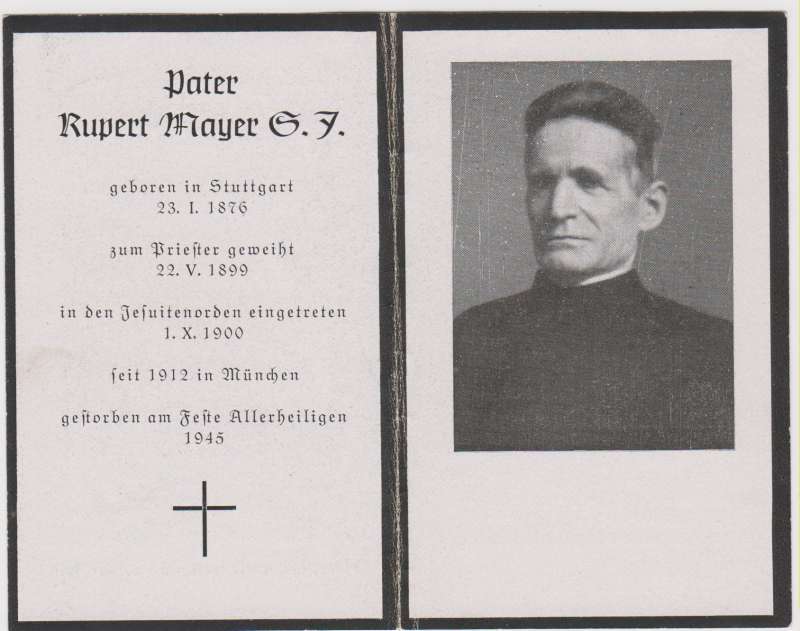 Father Mayer was born on 23 January 1876. His family was involved in business. He had a brother and four sisters. He grew up in Stuttgart. He was a very talented violinist and horse rider in his youth. Rupert finished his secondary education in 1894. He wished to become a Jesuit but his father wanted him to be ordained first. His father suggested that if he still had the desire to become a Jesuit after he was ordained he could then enter the Society. 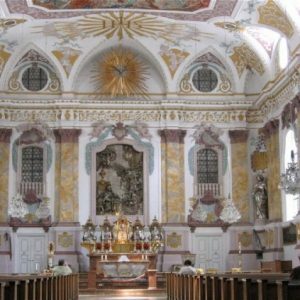 Fr Mayer studied Philosophy at Fribourg, Switzerland and in Munich. He then undertook his theological studies at Tubingen. He was ordained a priest on 2 May 1899. Rupert Mayer entered the Jesuit novitiate at Feldkirch, Austria on 1 October 1900. From 1906 to 1911 he preached missions throughout Germany, Switzerland and the Netherlands. In 1912 Fr Mayer was transferred to Munich to work with the poor. 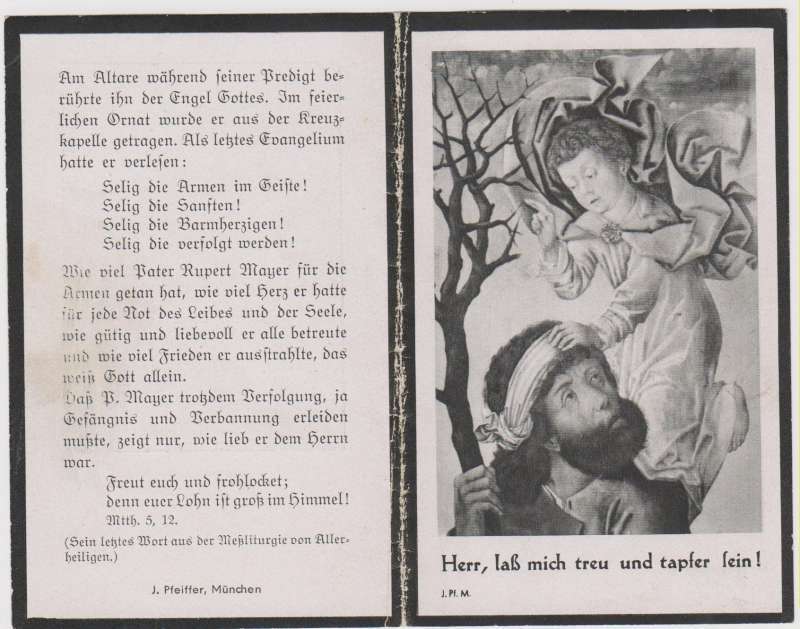 The artifact presented here is a holy card from the funeral of Father Rupert Mayer who died on November 1, 1945. At the outbreak of the First World War in 1914 Fr Mayer volunteered to be a military chaplain. He was initially assigned to a military hospital; however, he wished to be closer to the soldiers and was sent to the fronts in France, Poland and Romania as chaplain to a division of soldiers. He was held in great esteem by both Catholic and non-Catholic soldiers because his courageous work manifested his love for them. When there was fighting at the front Fr Mayer would be found crawling along the ground from one soldier to the next talking to them, listening to them and administering the Sacraments to them. When he was warned that he was putting his own life in danger through such activities, he replied simply, “My life is in God’s hands”. In December 1915, Fr Mayer was awarded the Iron Cross for bravery in recognition of his work with the soldiers at the front. As he was rushing to minister to some of the soldiers, Fr Mayer was seriously wounded by a grenade during heavy fighting in December 1916. As a result of the injuries, his leg had to be amputated. He returned to Munich to convalesce and was referred to as the “Limping Priest”. Fr Mayer’s own physical suffering transformed him into to an even more understanding, kind and gentle priest. Fr Mayer’s generosity in material things led people to approach him for help in spiritual matters. Fr Mayer helped people through the many hours he spent in the confessional and his courageous preaching. He encouraged men to join the Men’s Congregation of Mary (a sodality for men). 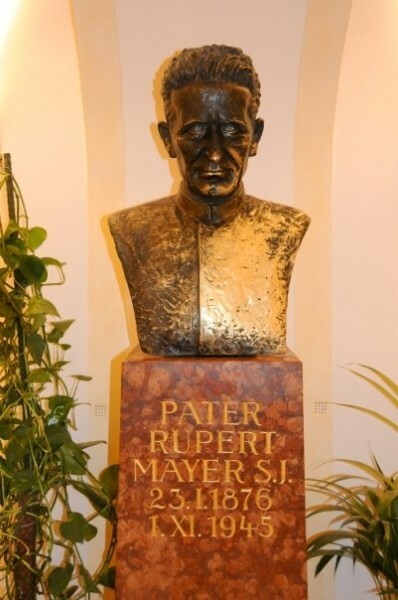 Fr Mayer became the president of the Congregation in 1921 and more than doubled its membership to over 7000 men during this term of leadership. He was a popular priest because he totally gave of himself to the people, was generous and available but more importantly was able to relate to them in their surroundings and mix with people from all walks of life. 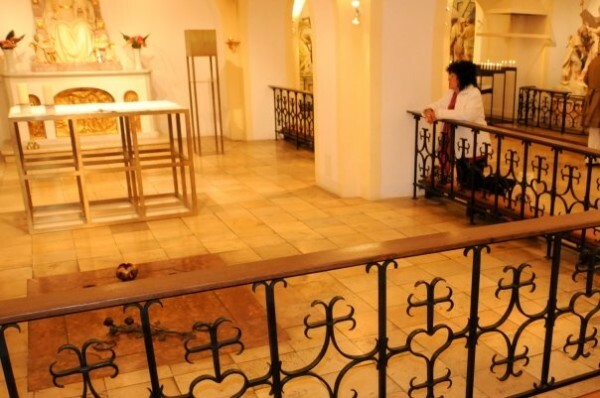 An example of his generosity and his common touch was that he would celebrate Mass in the waiting room of Munich Railway Station at 3:10 a.m. and 3:45 a.m. on Sunday mornings so that people who wished to spend the day in the mountains could still meet their Sunday obligation. After the First World War Fr Mayer also took a stand against Communism, National Socialism, and any writings that sowed hatred. He was prepared to denounce Adolf Hitler and Nazi propaganda pointing out the falsehoods being spread and stressing Catholic values. Fr Mayer particularly spoke out against the move to close church-affiliated schools. This lead to him being persecuted by the Nazis. 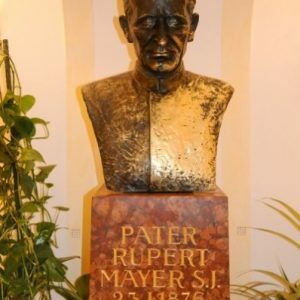 In May 1937 Fr Mayer was banned by civil authorities from preaching but he refused to obey the order as he considered himself obliged to defend the Church and its values. Consequently he was arrested in June 1937. He was tried and sentenced to six months imprisonment and was forbidden to preach. The sentence was suspended. At this time, the Church authorities also forbade him to preach which was a great sacrifice for him. Soon the Prefect of Munich made the following remark, “The priests are all the same. Threaten them enough with arrest, rattle the keys of the concentration camp; they subside without further ado and shut up”. Fr Mayer could not let such a defamatory remark go unchallenged. He sought and was granted permission from his superiors to preach once again. 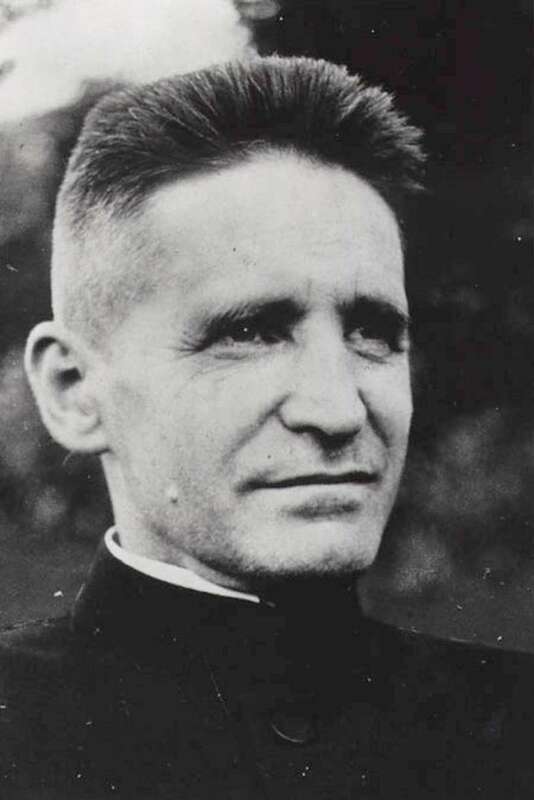 Upon preaching, Fr Mayer was arrested and immediately put into Landsberg prison. He served five months imprisonment until he was released as a result of a general amnesty. Upon being released, he continued to work with small discussion groups in Munich which were conducted privately. 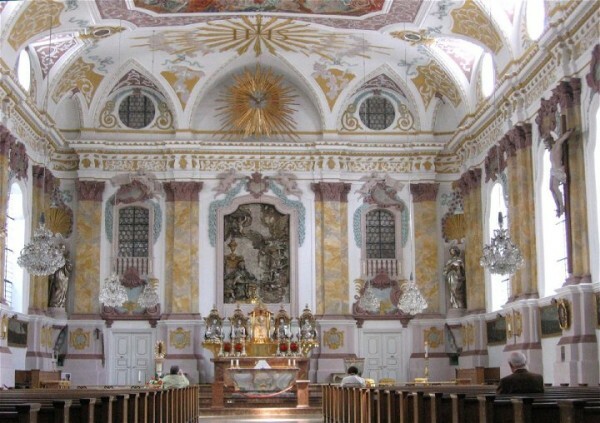 In August 1940 Fr Mayer was moved to Ettal Abbey in Southern Bavaria and was placed under house arrest. His greatest suffering was his inability to minister to his people. He was also concerned that his silence may be construed by others as capitulation. However, he sought consolation during this time from the fact that Christ, too, had been persecuted. Though he could not help his people in any material way, he continued to help them through his prayer. In May 1945 he was released and returned to Munich. Once again he returned to his former apostolic work. On 1 November 1945 , he died whilst preaching at Mass. help me only to know your will! enough that I belong to you. and because you will it, I have courage. My heart rests safely in your hands! 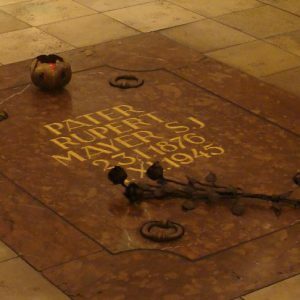 Fr Rupert Mayer’s memorial is liturgically observed on November 3.